The Boroondara Citizen of the Year awards recognise some of the most outstanding members of our community who tirelessly put themselves ahead of others. Their efforts remind us that positive change at a local level can have far reaching effects. 2019 Citizen of the Year John Hudson is congratulated by Cr Jane Addis. John Hudson has been involved in community life for decades, volunteering his time and expertise to enrich the lives of others, and help those in need. After retiring from the world of accounting, John was inspired to spend time giving back to the community. A long-time Rotarian, John has worked tirelessly on many community projects and fundraisers, and has been the driving force behind the organisation and coordination of the Boroondara Farmers Market for over ten years, providing leadership and volunteering more than 30 hours a month to ensure its success. The market is a major fundraiser for the Glenferrie Rotary Club, with almost all money raised channelled back into local Rotary initiatives, one of which is the Boroondara Cares Foundation’s Chances Scholarships program. The scholarships program has been in operation for more than 10 years and supports educational opportunities for promising local state school secondary students experiencing financial hardship. In addition to his fundraising efforts, John also lends his accounting skills to ensure the Chances Scholarship program is a success. And a success it is - to date, every Boroondara student recipient helped by this initiative has successfully completed their VCE and transitioned to tertiary education. One hundred Chances Scholarships have been awarded for the 2019 academic year. 2019 Young Citizen of the Year Rohan Hodges with Cr Jane Addis. Sixteen year old Rohan Hodges has demonstrated outstanding leadership skills and a commitment to helping others through his involvement in a number of community-focussed initiatives and fundraisers. 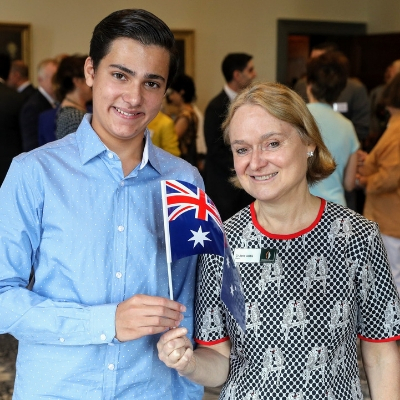 A passionate environmentalist and natural leader, Rohan has raised significant funds for a number of local environmental not-for-profits, participated in the Lord Mayor’s ‘Youth in Philanthropy’ program, and recently rose to the rank of ‘Sergeant’ in the Camberwell Grammar School Army Cadet Unit. He has even achieved the level of ‘black belt with two dan’ in Karate. Rohan has also taken part in a number of social causes including Projec10, which fights global poverty. 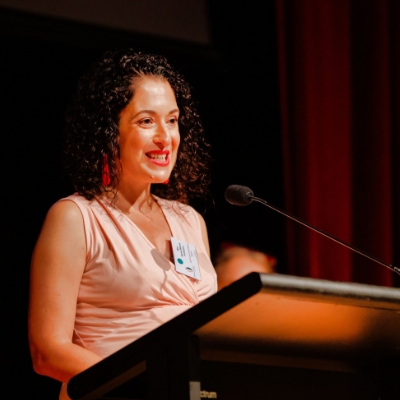 After her third son was stillborn, Anne-Maree Polimeni began advocating for greater awareness of stillbirth, to combat the stigmatisation and social isolation felt by many grieving parents in this situation. Anne-Maree has continuously shared her story and spoken publicly since her son died, showing courage and bravery despite her own grief, in the hope that others don't feel so alone. As well as raising significant funds for the Stillbirth Foundation of Australia, for the past two years Anne-Maree has lobbied the Victorian Government to officially recognise International Pregnancy and Infant Loss Remembrance Day. On August 22 last year, a motion in the legislative council to do so was unanimously supported. 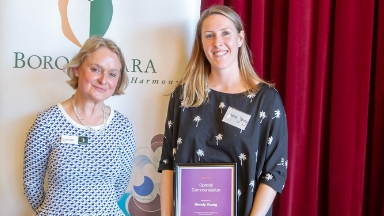 At our International Volunteer Day celebration on 5 December, the 2019 Boroondara Volunteer of the Year was announced. This award, along with the Special Commendation award for volunteering, recognises the contribution of some of Boroondara’s most outstanding volunteers. Their efforts remind us that positive change at a local level can have far reaching effects. John Lagzdins with Boroondara Mayor Cr Jane Addis. 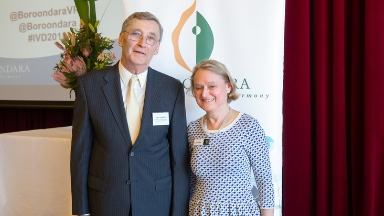 A committed volunteer for the past two decades, John is being recognised for his tireless dedication and extensive contribution to the Boroondara community. An accountant by trade with a passion for giving back to the community, John has held the role of the treasurer at Canterbury Neighbourhood Centre for the past ten years and taken on managerial and administrative responsibilities as required. 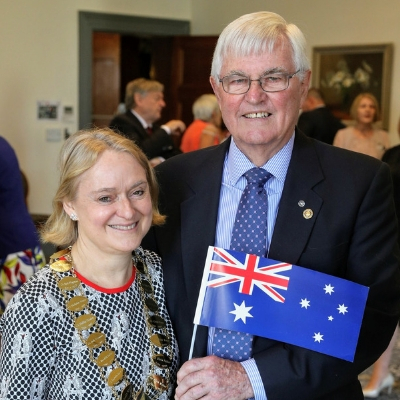 He has also served or serves as treasurer, secretary and committee member with many other local community organisations, including Boroondara Neighbourhood Watch, Friends of Same and the Victorian Dog Obedience Group. As someone with a lived experience of the impact of alcohol and drug use on family members or friends by loved ones, John is also a Peer Support Leader with the Ashburton Family Drug Help Support Group. Wendy Young with Boroondara Mayor Cr Jane Addis. Wendy is being recognised for her significant contribution to making swimming more accessible to, and inclusive of, people with physical and intellectual disabilities. For the past 11 years, Wendy has been the leader and main swimming teacher with the Dugong program at Kew YMCA. Wendy coordinates a group of volunteers who work with her to assist individuals with disabilities to swim and be safe around water.